Looking out the window from where I am having a course, I see the park that I walk past frequently when I get out of the train station. The park is actually quite big. According to the National Parks Board website, it is actually 1.02 ha. 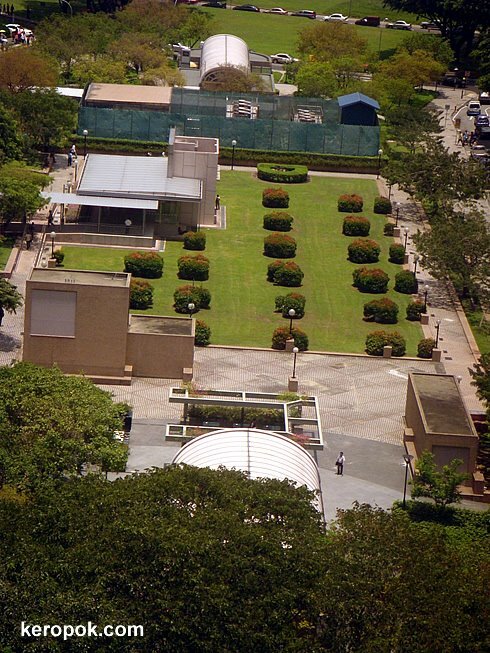 This park is actually situated on top of the Tanjong Pagar train station. In the evenings, you can see many people resting and enjoying a temporary tranquility before they go home. That is a nice looking park and it hides the station! Much nicer than some of the train stations I have seen before!